The links on this page were chosen for their usefulness to educators and supporters of arts education. At the time of creation and update, these links were active and the content was appropriate. When you leave this web site, NALC is no longer responsible for the content of any of the pages contained in the links below. MAEA is an affiliate of the National Art Education Association (NAEA). Membership is concurrent. The mission of MAEA is to represent, inform and support art educators, and to promote art education throughout Massachusetts. MAEA sponsors meetings, exhibits and workshops. The Boston Globe Scholastic Arts Competition is facilitated through this organization. All visual arts teachers are encouraged to participate in exhibits, scholarships, workshops, conferences and symposiums to enhance their professional development and career opportunities. 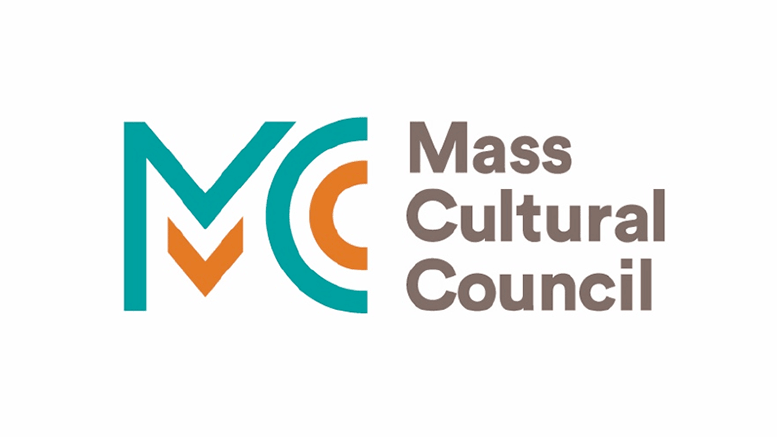 The mission of the MCC is to promote excellence, access, education and diversity in the arts, humanities and interpretive sciences in order to improve the quality of life for all Massachusetts residents and to contribute to the economic vitality of our communities. MADEO is a non-profit dance resource and education organization whose mission is to advance and make accessible the art and education of dance in its many forms for all the people of the Commonwealth of Massachusetts. The Arts Education Advisory Council advises the Commissioner and Board of Education on matters pertinent to the development of arts education in the Commonwealth. This includes examining statewide trends and needs, seeking public and professional input, identifying model programs, and making recommendations on policies and programs for the dance, music, theatre, and visual arts components of the Massachusetts Arts Curriculum Framework. The Massachusetts Educational Theater Guild, Inc. exists for the charitable and educational purpose of promoting and strengthening excellence, access, and education in the theatrical arts for middle and secondary school students and teachers. For more than 80 years, the METG has been a leader in arts education, believing that theater has a unique power to enrich and transform young people’s lives. MMEA is a federated state unit of MENC that advances and strengthens music education in the state of Massachusetts. MMEA sponsors a yearly state convention, meetings, festivals, and workshops. Regional and All-State opportunities for middle and high school students are facilitated through this organization. All music teachers are encouraged to participate in professional development opportunities and to sponsor and showcase outstanding middle and high school musicians in District and All-State ensembles. NEFA functions as a grant-maker, program initiator, regional laboratory, project coordinator, developer of resources and builder of creative partnerships among artists, arts organizations and funding agencies. NETC is a regional theatre organization that sponsors a regional conferences for professional growth and networking, newsletters, a journal, directory and several student competitions throughout New England. VSA Arts of Massachusetts (a network member of VSA International and affiliated with the John F. Kennedy Center for the Performing Arts) promotes the inclusion of people with disabilities in our communities and develops arts-based teaching strategies that allow students with and without disabilities to learn together. ABA is committed to the preservation of American band music and history. It is a national association of band masters that promotes better bands and better repertoire through collegial sharing ad presentations. ADF encourages and supports the creation and presentation of new modern dance work by both established and emerging choreographers; preserves modern dance heritage through continued presentation of classic works, as well as through archival efforts; works to build wider national and international audiences for modern dance; enhances public understanding and appreciation of the art form and its cultural and historical significance; provides a sound scientific/aesthetic base for professional education and training of young dancers and is a forum for integrating and disseminating information on dance education. AOSA is a professional organization dedicated to the creative teaching approach developed by Carl Orff and Gunild Keetman. ABC is a South Carolina model for sequential and integrated arts education. CETA is a model for integrated arts education. The Dalcroze approach to music education teaches an understanding of music through Eurhythmics (movement), Solfege, and Improvisation. This model is a model for integrated arts education. The International Animation Association promotes the art of animation and furthers international understanding and good will through the medium of animated film. A+ schools is a North Carolina model implemented in several states. See Oklahoma A+ schools for state organized model. The Institute trains teachers to implement a model of arts integration instruction. OAKE promotes Kodaly’s concept of “Music for Everyone” through the improvement of music education in schools. The ACC is a leading voice for the crafts in America , celebrating the achievements of gifted artists working in the media of clay, fiber, glass, metal, wood and other materials. ASCAP is a membership organization of composers, songwriters, lyricists and music publishers. ASCAP is a U.S. performing rights organization. ArtsEdge is a national arts and education information internet web site that supports the use of technology to integrate the arts with other academic subjects. The Arts Education Partnership (AEP) is a national coalition of arts, education, business, philanthropic and government organizations that demonstrate and promote the essential role of the arts in the learning and development of every child and in the improvement of America ‘s schools. Arts Schools Network serves as a resource for leaders of arts schools, arts integration schools and complimentary arts and education organizations. This organization was formally the International Network of Performing and Visual Arts Schools. BMI issues licenses to various uses of music including television and radio stations, networks; new media, including the Internet and mobile technologies such as ringtones, satellite audio services, nightclubs, discos, hotels, bars, restaurants, jukeboxes and live concerts. BMI tracks public performances and collects and distributes performance royalties to songwriters, composers and music publishers…similar to ASCAP.s users of music, including television and; digital jukeboxes; and live concerts. GIA is an organization for philanthropy organizations that support arts organizations and initiatives. The Harry Fox Agency was created by the NMPA to provide an informational source, clearinghouse and monitoring services for licensing musical copyrights. ICFAD addresses issues, provides leadership and offers forums for information exchange in arts education at the university level. KCAAEN is a national coalition of not-for-profit organization, working in partenership with the Kennedhy Center to support the ars as a critical and essential part of American K-12 education. The Recording Academy is the premier outlet for honoring achievements in the recording arts and supporting the music community. The Grammy Foundation works in partnership with The Recording Academy to bring national attention to important issues such as the value and impact of music and arts education and the urgency of preserving our rich cultural heritage. NALC is a non-profit organization with a mission to “transform schools by providing students with the opportunities to learn in and through the arts.” The Massachusetts Arts Education Collaborative is NALC’s advocacy and action committee for improved arts education in Massachusetts. NASSA is a national service organization for state arts agencies like the Massachusetts Cultural Council. The National Endowment for the Arts is a federal agency that advocates for human creativity, supports the creative endeavors in communities and schools and fosters the excellence of U.S. artistic accomplishments. NGCSA is the national service organization for a diverse constituency of non-profit organizations providing arts education in urban, suburban and rural communities throughout the United States. The National Office for Arts Accreditation (NOAA) is the name given to the staff and facilities shared by the National Association of Schools of Music, the National Association of Schools of Art and Design, the National Association of Theatre, and the National Association of Schools of Dance. NOAA has no corporate identity nor funding designated specifically to itself. In addition to the work of these four accrediting bodies, NOAA manages these cooperative efforts that involve all four accrediting bodies, the Higher Education Arts Data Services (HEADS) project, the Council of Arts Accrediting Associations (CAAA), and the Accrediting Commission for Community and Precollegiate Arts Schools (ACCPAS). The HEADS project is an ad hoc institutional research effort financed primarily by the four higher education accrediting associations. CAAA is focused on interagency discussions and projects on matters of common interest. ACCPAS provides accreditation services for arts-oriented schools and programs for children, youth, and/or adults in a community. The National YoungArts Foundation (formerly the National Foundation for Advancement in the Arts) program recognizes the achievements of high school seniors and other young artists 17 or 18 years of age in the areas of Dance, Music, Jazz, Voice, Theatre, Visual Arts, Photography and Writing through mentors, scholarships, master classes, extended study and interviews. ARTS is the sole nominating vehicle for Presidential Scholars in the Arts. PCAH encourages private sector support of the arts and humanities and public appreciation for the arts through projects and publications. VSA arts is an international organization that creates learning opportunities through the arts for people with disabilities. VSA arts offers arts-based programs in creative writing, dance, drama, music and visual arts implemented primarily through their affiliate networks found in 39 states as well as the District of Columbia and 70 international affiliates. AACTE is a national voluntary association of higher education institutions and other organizations and is dedicated to ensuring the highest quality preparation and continuing professional development for teachers and school leaders in order to enhance PK-12 student learning. The AASA is the professional organization for chief executive officers, superintendents and senior level school administrators to cabinet members, professors and aspiring school system leaders. AASA members advance the goals of public education, champion children’s causes in their districts and nationwide, set the pace for academic achievement, help shape policy, oversee its implementation and represent school districts to the public at large. CCSSO is the member organization for state commissioners of education. Project Zero is an education research group in the Graduate School of Education at Harvard University . The NAEYC is an organization of early childhood educators and others that promotes improvement in the quality of programs for children through third grade. NAESP leads advocacy and support for elementary and middle level principals and other education leaders in their commitment to all children. NASSP is the preeminent organization of and national voice for middle level and high school principals, assistant principals, and aspiring school leaders from across the United States and more than 45 countries around the world. NASSP promotes excellence in school leadership. NASBE strengthens state leadership in policymaking; promotes excellence in the education of all students; advocates for equality of access to educational opportunities, and assures continued citizen support for public education. NBPTS promotes the upholding of high standards for professional performance in the teaching profession. NCES is a federal agency that collects and analyzes data that are related to education in the United States and other nations. This bipartisan organization is dedicated to aiding the nation’s lawmakers. NEA is American’s oldest and largest organization committed to advancing public education. The National School Boards Association is a not-for-profit federation of state associations of school boards across the United States. Its mission is to foster excellence and equity in public education through school board leadership. RAND is a non-profit institution that seeks to improve policy and decision making through research and analysis. This federal agency directs and supports education in the USA. ASTA is a membership organization for string and orchestra teachers and players, helping them to develop and refine their careers. ASTA’s members range from budding student teachers to artist-status performers. The organization provides a vast array of services, including instrument insurance, an award-winning scholarly journal, discounts on publications and resources, annual professional development opportunities, and access to collegial network of colleagues throughout the string profession. The Educational Theatre Association and its International Thespian Society branch have been working since 1929 to honor excellence among students of theatre and support the work of theatre educators. Originally focused on theatre in high schools, EdTA has in recent years broadened the scope of its mission to embrace the concept of theatre as an instrument of lifelong learning and has expanded its membership to include students and teachers in middle schools, and college students preparing for careers in theatre education. EdTA publishes Dramatics, a monthly magazine for theatre students and teachers, and Teaching Theatre, a quarterly journal for educators. It sponsors the annual International Thespian Festival. NAEA is the national professional organization for art educators from every level of instruction: early childhood, elementary, intermediate, secondary, college and university, administration, museum education, and lifelong learning. It also includes publishers, manufacturers and suppliers of art materials, parents, students, retired teachers, arts councils, and schools. NAEA promotes quality art education in all schools. NDEO is an autonomous non-profit organization dedicated to promoting standards of excellence in dance education. NDEO provides the dance artist, educator and administrator a network of resources and support, a base for advocacy, and access to programs and projects that focus on the importance of dance in the human experience.